A while back, I wrote an article highlighting several underwater hotels that provide a lucky few with an unforgettable experience. While many of these sub-sea accommodations are well outside the budgets of even the privileged classes, underwater hotels are still something I expect to become more popular (and hopefully more affordable) in the future. Home to some of the world’s most luxurious places to sleep*, Dubai looks to be leading the way in the underwater hospitality market as well. Specifically, Polish company Deep Ocean Technology (a recurring name when it comes to underwater construction projects) recently announced its plan to construct the Water Discus Hotel beneath the Persian Gulf, off the coast of Dubai. The plan calls for an 11,000 square footdisc, or chamber, that will house 21 guest rooms some 33 feet underwater. The structure will also utilize a second disc located above the surface for added amenities. 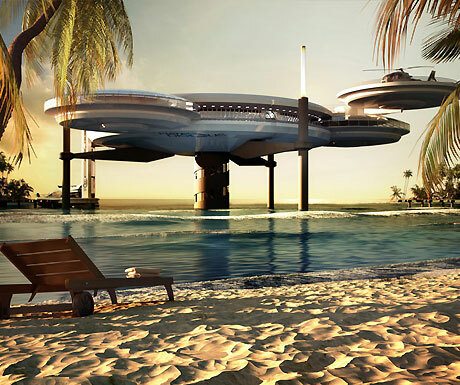 Together, the teo disc structure will offer a diving center (complete with air locks and a decompression chamber), a spa, gardens, and a helipad above the surface for guests arriving by air. The structures are also movable, which allows the hotel to relocate as environmental policies and economies change. If you’d like to read more about the plans for the Water Discus Hotel, check out Deep Ocean Technology online @ http://www.deep-ocean-technology.com. I’m still fascinated with the idea underwater hotels, and can’t wait for the opportunity to experience one – even if only for a quick day tour! 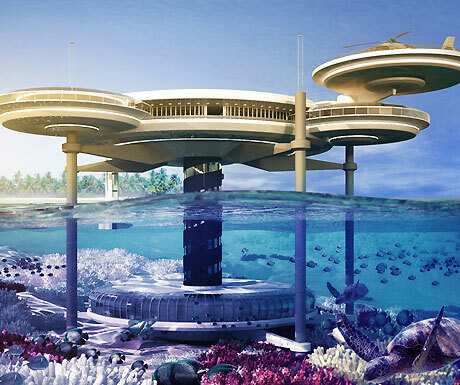 Are underwater hotels something you’d like to experience? Let us know in the comments below. *Did you know each suite at the Burj Al Arab (often credited as the most luxurious hotel the entire world) comes with a gold iPad? You don’t get to keep it, but you’re free to use it as a sort of personal concierge throughout your stay. Dubai is also home to one of the tallest buildings in the world, the largest shopping mall, and the biggest man-made island. Yeah, everything’s a bit over the top there.